This recipe is near and dear to my heart. Many years ago my husband made these for me and ever since it has been one of my very favorite dishes. Sadly, he didn’t make them often enough. Recently I’ve learned how to make them and so we’ve been having them more often! Fried artichokes were something I craved during my pregnancy with Big Z, this make at home version is a whole lot cheaper than going to Altruda’s Italian Restaurant. The artichokes are soo rich and delicious! We lick the platter clean…no, I’m serious! My husband had to tell Big Z to put down the plate and stop licking it because it was bad manners, seriously! Adults and children alike will gobble these down. The combination of butter, white wine, lemon juice and capers is so perfect. The eggs in the dish are a great source of protein and the olive oil and butter are great sources of good healthy oils. This picture is doing them no justice, trust me they are scrumptious! Enjoy! 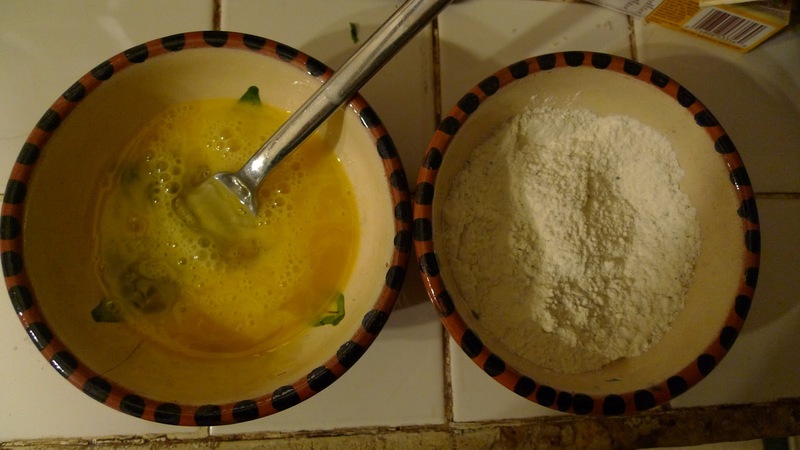 1) Measure flour in to bowl and season with salt and pepper. Beat eggs in deep bowl, and season with salt and pepper. 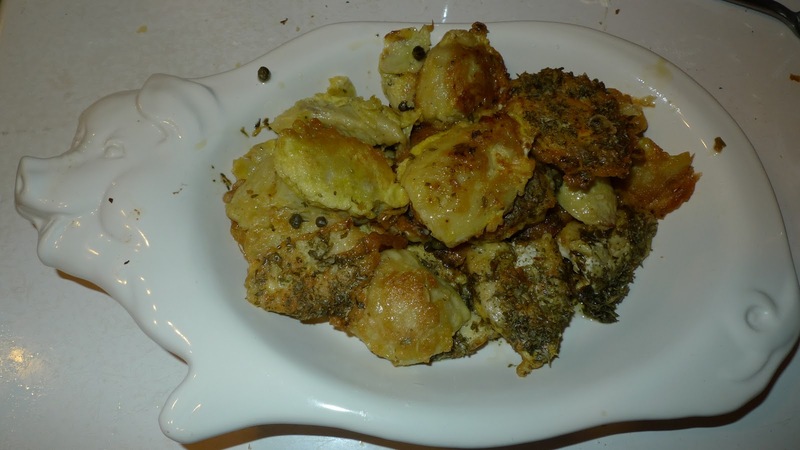 2) Dredge artichoke hearts in flour, shake off excess and place on nearby platter. 3) Heat olive oil in pan over medium heat. 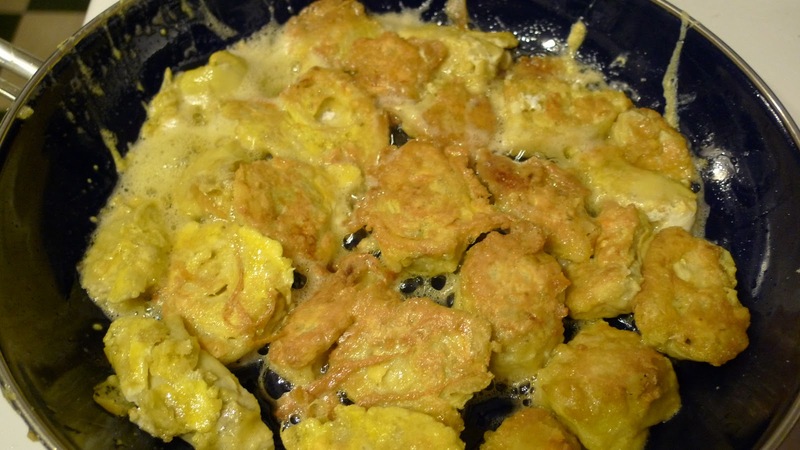 Quickly dip artichokes one by one into beaten eggs, then place in the oil. Continue with remaining artichokes. Cook for 2-3 minutes on each side or until golden brown. 4) Pour wine, lemon juice and capers over artichoke hearts. We really enjoy the sauce so we tend to be generous with our portions here. Cover and cook for 1 minute, gently shaking pan to move the liquid. 5) Gently add butter and move pan to mix in the sauce as it melts. Cover and cook for another 1-2 minutes. Sauce will slightly thicken. Place artichokes in serving bowl and pour sauce over top, scatter with parsley on top. YUM!! * Just a brief note on ingredients. Selecting organic pastured eggs and butter makes for the best and healthiest artichokes. ** Adding the white wine into the simmering sauce and letting it cook for 1-2 minutes, is plenty of time for the alcohol to cook off, making the dish safe for pregnant moms and children alike. This post is part of Vegetarian Foodie Fridays hosted by Melodie also a part of Ekat’s kitchen Friday potluck and Food Renegade Fight back Fridays. Holy cow, I will be making this. No question about it. It looks amazing, and I feel like I can smell it through the computer. Thanks! I wonder if I could do these with fresh artichokes, as I have a bunch at home. They look so good! I’ve never worked much with fresh artichokes, I’d be curious to know how they’d turn out. If you give it a try be sure to come back and let me know how they turn out. Thanks! Ill be making these for sure!! Those look totally delicious! I typically get canned artichokes, so this would be a learning experience as well. Thanks for sharing this! Yummy! I love that you can make something that yummy sounding out of a jar of artichokes. I’m impressed and very interested in trying them. It is so nice to see you at my carnival today! Thanks for joining in! Previous Previous post: Wordless Wednesday- A Tennessee Snow Day! !